In a food processor, puree thawed cherries, adding a few drops of cherry juice if needed. Transfer cherries to a large bowl. 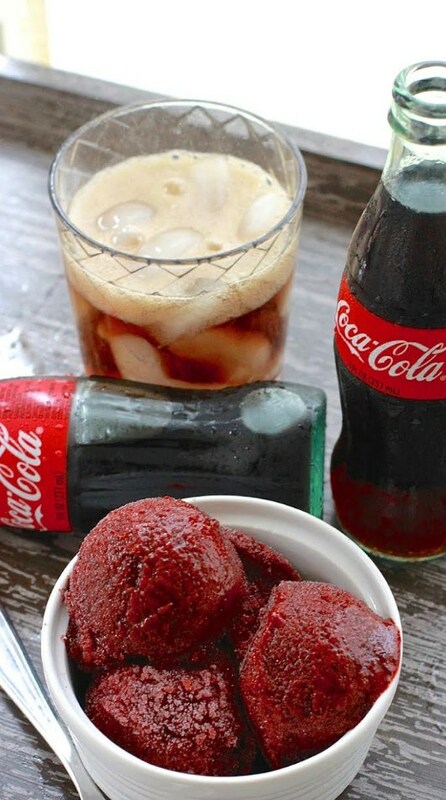 Stir in Coca-Cola, cherry juice, lemon juice and simple syrup. Pour mixture into ice cube trays. Once frozen, place cubes into a food processor and process until it is the texture of a thick milkshake. Pour mixture into a freezer container and freeze. Garnished with fresh mint or lemon.